American Crew Precision Blend Hair Color for Natural Gray Coverage. Contains 3 Tubes. Crafted specifically for men. 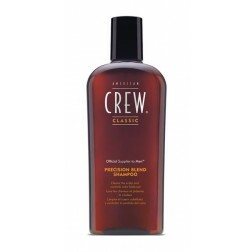 For more than 15 years, American Crew has been the salon brand that men trust. Now we’re introducing a gray blending system for their unique needs. It gives you the ability to create the natural color men want in just five minutes. 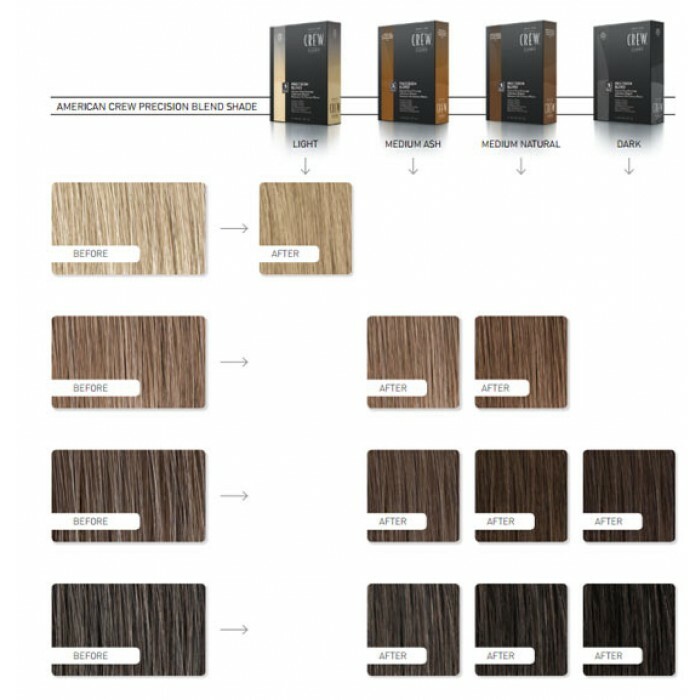 Available in 4 shades: Dark (2-3), Medium Natural (4-5), Medium Ash (5-6), Light (7-8). 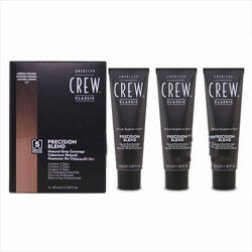 American Crew Precision Blend Hair Color. Blend gray away with a system that's fast, convenient, and crafted specifically for men. Men have their own styles. Their own cuts. And their own attitude. To blend gray from a man’s hair, you need products and techniques crafted specifically for him. Choose a shade of American Crew Precision Blend (Light, Medium Ash, Medium Natural and Dark) that matches your client’s natural hair color using your Precision Blend Swatch Guide. Then, mix the color in a 1:1 ratio in a color bowl. In general, about 20 mL/0.68oz will be needed to complete the service on a client with hair that is 1” long. You should perform a quick allergy test according to the warnings on the color product. Choose from the four American Crew techniques, based on the texture and length of your client’s hair. Each of the techniques can be used with light, medium or heavy product application to provide 25%, 50%, 75% or 100% gray blending. For a natural look, allow gray to peek out at key areas such as sideburns and temples. Perform each technique efficiently, trying to keep the application time under four minutes. The American Crew Precision Blend System provides not only a product that allows you to naturally blend away clients gray, but a technical approach and specific tools designed to match his hair type and desired final look. The technical approach and product application will determine the amount of gray blended and resulting final look. For more information on the Precision Blend techniques, product application and to locate the swatch guide visit www.americancrew.com. Hair colorants can cause severe allergic reactions. For professional use only. This product is not intended for use on persons under the age of 16. Temporary "black henna" tattoos may increase your risk of allergy. Aqua (Water) (Eau), Propylene Glycol, Laureth-1, Ethanolamine, Isostearic Acid, Glyceryl Stearate SE, Stearyl Alcohol, Steartrimonium Chloride, Polyquaternium-28, Polyquaternium-10, Cocamidopropyl Betaine, Ammonium Lauryl Sulfate, Panthenol, Panax Ginseng Root Extract, PEG-150/Decyl Alcohol/SMDI Copolymer, Parfum (Fragrance), Erythorbic Acid, Sodium Sulfite, Tetrasodium EDTA, p-Phenylenediamine, Resorcinol, m-Aminophenol, p-Aminophenol, 2-Amino-4- Hydroxyethylaminoanisole Sulfate, 2,4-Diaminophenoxyethanol HCI.